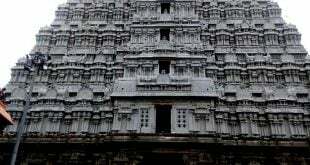 Tiruvannamalai accommodation Cost, Booking Procedure, Room Charges, Counter Timings. 3. Basic facilities Free 1. Allotted only to Bhagavan Devotees. 2. No allotment for normal guests. 3. Max 3 Days allotment. Temple Cottages are not available for the stay. Private room charges will be high on Pournami and other festival days. Advance booking required as the limited stay available nearby temple. The crowd will be in peaks on Girivalam days. Most of the hotels offer standard check-in 12:00 pm – 12:00 pm. Online websites are available for room booking. Free Food is available for the devotees. 12:00 pm- 2:00 pm. Rooms at Ramanasramam is meant for Bhagavan devotees. Best Time to visit: Normal days (other than Pournami days) and Karthika Masam days. 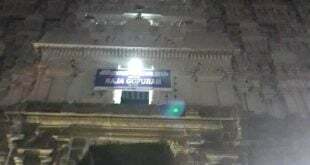 Tiruvannamalai will be heavily crowded on Karthika Pournami day. Room Charges will be around Rs.7000 – Rs.15000 on this special day. From Chennai Temple is 207 km away, which takes 3 hours 45 mins drive by vehicle and 4 hours 30 mins by bus. 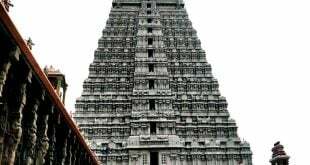 Thiruvannamalai can be reached from Chennai and Villupuram. Villupuram is 61 km away.